VS-C is a herbal combination designed to strengthen the body's immune system against bacterial and viral infections. VS-C is a Traditional Chinese Medicine that has been used to prevent and combat infectious diseases and relieve systems that include fever, inflammation, muscle aches, pain, respiratory congestion, the common cold, food poisoning, the flu, and swelling. VS-C is best used as a preventative measure but can also be taken at first signs of symptoms and during illness. Dandelion: Can enhance the body's resistance to pathogenic bacteria, increase stimulation of the immune response, and reduce the risk of cancer. Purslane: Used traditionally in treatment of conditions where heat accumulates in the body, such as fever, inflammation, swelling, and infections. Indigo: Traditionally used to "clear heat" and relieve toxicity"
Typhonium: Relieves pain and inflammation, including joint pain and lymphatic swellings. Scute: Noted for its antibacterial, anti-inflammatory, antioxidant, and antiviral properties. Cinnamon twig: Traditionally used to enhance the circulation of blood. It is also recommended for abdominal cramps, arthritic and rheumatic conditions, cold extremities, edema, fatigue, headaches, lower back pain, and more. Licorice: Has anti-histamine and anti-inflammatory properties. It is also used to moisten the lungs to relieve dry cough. Ginseng: Enhances the immune response and stimulates the process by which white blood cells fight infection. Here at Natures Finest we have VS-C in capsule and liquid form, give us a call or come by the store to pick up VS-C today! TESTIMONIES: Wanda C. I had issues with kidney stones. My right kidney was full and my left was swollen. Jim gave me Hydrangea, which I took for three months. When I went to get a CAT scan done, all the stones were gone! G lenn W. My wife suffered from severely large kidney stones. She underwent surgery to break them up and spent ten to fourteen days in pain, still without passing the stones. Jim told me about Hydrangea. After two days on it, the stones were gone! She experienced very little discomfort. We were thrilled! Joy H. I have a chocolate, miniature poodle who had an issue with recurrent kidney stones. He had up to 40 built up in his body at one time. He had surgery to remove them. Now we keep him on Hydrangea and changed him to a diet of raw food. Three years later, now 9 years old, he’s stone-free and healthy. James G. My son, David, brought me a bottle of Hydrangea for kidney stones. I took it and passed two stones. Julie H. After going to the E/R with kidney stones twice, Jim Hangstefer recommended I take Hydrangea. I’ve taken two capsules of Hydrangea since December 2009 along with staying well-hydrated and I haven’t had ANY kidney stone attacks since! Darrell D. I had kidney stones. Someone told me about Hydrangea, and I tried it reluctantly. To my surprise, it really worked! I use it consistently and tell other people too! It’s great to have a natural solution. 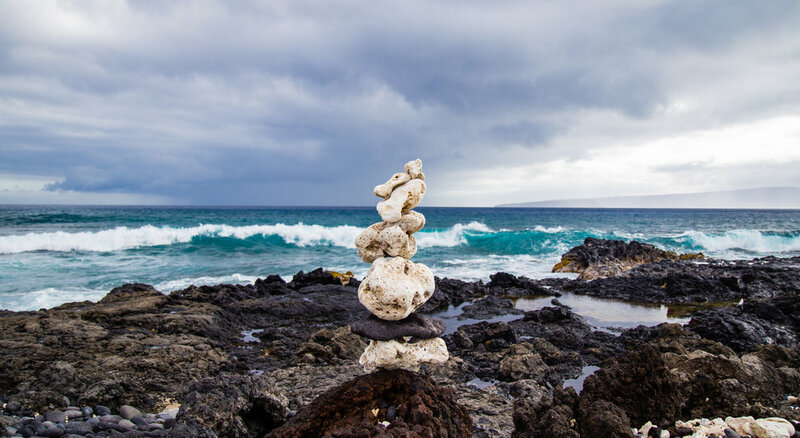 Eliminate Fatigue & Balance Your Hormones - Naturally! Marty N., After my Iridology appointment, Jim put me on a mild cleanse followed by the NeoLife glandular program. I lost 30 pounds in 6 months. My blood pressure decreased, and as I increased my water intake, the swelling around my ankles decreased. My lymphatic system was cleansed and my energy increased, so now I’m able to do more work around the house. I’m thrilled! Katie D., When I was seventeen, I ate so much sugar I was to the point my doctors told me I was probably diabetic. I switched to eating ‘diet’ foods. Eighteen years later down that road, drinking multiple Diet Cokes a day, my hormones were way out of whack. I had no energy, I couldn’t sleep, my emotions were all over the place, and I had shingles on my head. After speaking with Jim, I quit drinking Diet Coke - cold turkey. I started on the Glandular Program (Formula IV, Multi-Min & NeoLife Shake) and I’ve seen a big difference in my hormone balance. I have more energy, my emotions are in check, and I can sleep! I convinced my mother-in-law to stop drinking Diet Coke, too. We’re feeling so much better! Teresa H., I had no energy and a friend told me about Jim. Jim suggested the Glandular program. After a month I felt better than I ever had. Most people know they need to take a fish oil or salmon oil supplement. Not everyone knows why. The reason lies in the omega-3 fatty acid content of fish. Omega-3s act as building blocks within the body. They are essential for brain health, controlling inflammation, behavioral function, heart health, and healthy growth in children. They’re considered “essential” because the body cannot produce them. They have to be consumed daily either through food, or—as most of today’s food sources are depleted in nutrients—through supplementation. And all eight omega-3 fatty acids. On top of that, Salmon Oil Plus is formulated with only the highest level of purity. Screened for over 200 contaminants, NeoLife allows zero pollutants or contaminants in their product. The result is an ultra-pure, high-potency, broad-spectrum salmon oil product in the highly bioavailable form nature intended. Gary M. I had a stroke, and discovered that I had a 100% blocked carotid artery. I had severe numbness in my right leg. My right eye was hemorrhaging from the stroke, and my vision was blurry and would sometimes black out. Eventually, my doctor had to laser my eyes. They offered no nope or answers. They told me I was a walking time bomb. I began taking twenty Salmon Oil a day. In a week, the numbness in my leg and arm disappeared, my eyesight became clearer, I had more energy, and I’m still improving. Shane B. I was born with a bone and joint deformity. I took Salmon Oil. After one capsule I noticed an immediate improvement. Salmon Oil basically saved my life. Jimmy A. I’ve been in martial arts since I was 3. Recently I broke my foot and ankle in a kick. I couldn’t walk for more than 30 minutes. My doctor told me to live with it. After 2 months of taking Salmon Oil, Cal-Mag, and Turmeric, I can swim, white water raft, rock climb, and do yoga. Want to try NeoLife's Salmon Oil Plus for yourself? Reach us by phone at (423) 899-8422 or by email at naturesfinestnutrition (at) gmail.com. A combination of b-vitamins and other compounds, Lipotropic Adjunct supports circulation, liver health, fat metabolism and more, all in two to four tablets, daily. Designed to mobilize lipids (or fats) in the bloodstream, Lipotropic Adjunct help s keep fat from collecting in the liver, and inhibits plaque build-up in the arteries. It also supports healthy cholesterol levels, arterial wall health, homocysteine metabolism, and more. Historically, the individual compounds in Lipotropic Adjunct have been used as follows. Visit us on our website and Facebook! We're always happy to help! Have you seen our YouTube channel yet? We have some amazing testimonies and informational videos about some of the products we carry. That's not all! Head to our YouTube channel for more! Happy new year! Start 2016 off well with a whole body cleanse sure to get you roaring and ready to take on the whatever this new year may bring. Cleanse your body from the inside out with these three simple products! 1) 30 DAY GENERAL CLEANSE. Dr. Lawson suggests that everyone do this twice a year, or at least not less than once a year. a) Alfalfa Plus Fiber. Take 3 with every meal for a total of 9 tablets a day. b) BetaGard. Take 2 with every meal for a total of 6 tablets a day. c) Neo-Lax. Take 1 with every meal for a total of 3 tablets a day. This will take 1 bottle of Alfalfa, 2 bottles of BetaGard, and 1 bottle of Neo-Lax for the full month’s supply. WHAT WILL THE GENERAL BODY CLEANSE DO FOR YOU? has more protein by weight than steak. b) Lipotropic Adjunct. 6 tablets per day. Take 2 with each meal. c) Multi-Min with Chelates. 6 tablets per day. Take 2 with each meal. Note: This is a recommended program only. It is not to be considered a prescription. The human body needs meat and animal products such as dairy, eggs, bone broths and gelatin. There are certain vitamins, minerals, fatty chain acids (think Omega-3s) and other nutrients that the body simply cannot glean from plant-based sources. As such, it’s important to give the body high quality, wholesome sources of these nutrients. 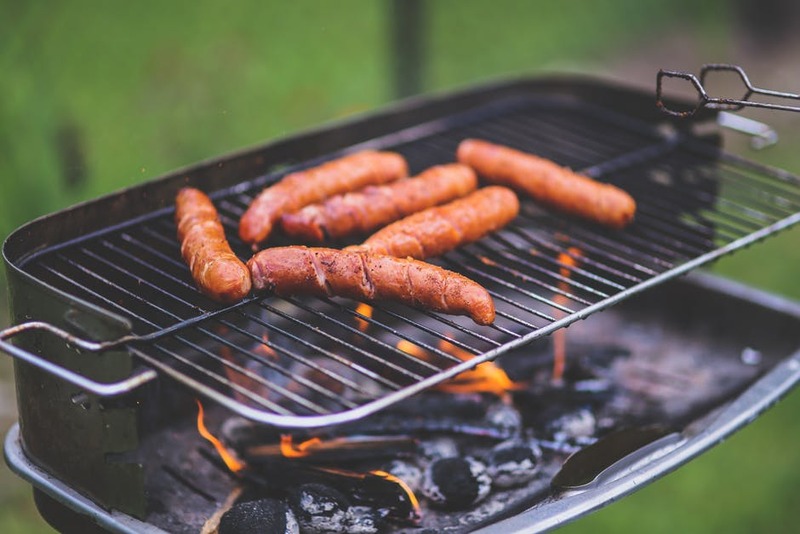 Here, we’ll look at the differences between processed commercial and organic meats to determine which deserves that spot on your plate. are pumped full of synthetic hormones which can cause premature puberty in young girls and feminine physical attributes in young males. Which should you be eating? We think the answer is pretty clear, but we'd love to hear your thoughts! Have you tried or noticed a difference between commercial and organic meats? Let us know in the comment section below! The Link to Better Eye Health - It's NOT What You Think! When it comes to eyes, none of us are surprised to find that as we age, we deal with eye issues such as floaters, dry eyes, cataracts, macular degeneration, color blindness, or simple, deteriorating vision. While some people are more genetically prone to poorer vision, others tend to have another issue linking to their failing eyesight. That issue is poor liver health. The main liver function that connects to eye health is detoxification. A properly-functioning liver scavenges free radicals from the blood and body, the eyes included. When the liver is undernourished or malfunctioning, these free radicals can cause eye damage (macular degeneration, floaters, cataracts, etc…), quickened aging, stilted immune function, heart issues such as heart disease or stroke, Parkinson's, Alzheimer's, cancer, and other health issues. This is why supporting the liver and supplementing with antioxidants is so important. Antioxidants take stress off the liver by hunting down and eliminating free radicals so the liver can eliminate toxins, metals, and poisons from the body while attending to its many other tasks, too. However, if the liver is clogged with fat and toxins, as is the case for most Americans, it needs to be cleansed, first. For this, we recommend Nature's Sunshine' Liver Cleanse Formula. A combination of digestive, soothing, and nourishing herbs such as Dandelion, Blessed Thistle, Burdock, Chamomile, Black Cohosh, Horsetail and more, this liver cleanse is an easy, stress-free way to effectively cleanse and unclog the liver and get your body back to functioning properly, as God intended. 1. NeoLife's Carotenoid Complex. 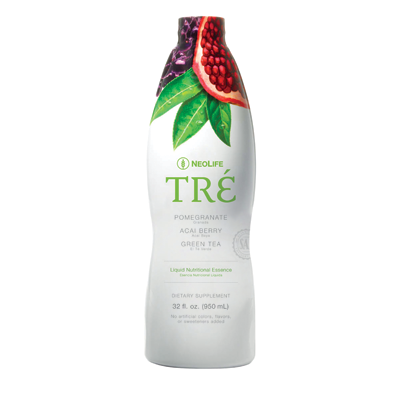 Derived from the pigments of red, yellow and orange fruits and vegetables, this antioxidant blend boosts the immune system and protects the body from free radical damage. 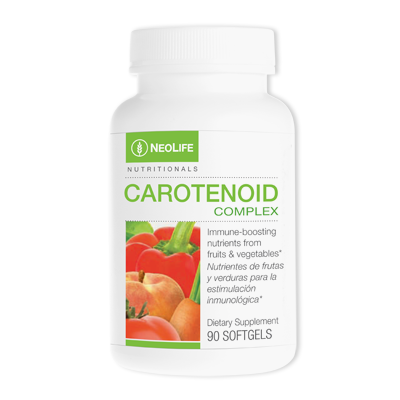 Each Carotenoid Complex capsule contains the concentrated antioxidant power of over 2.8 pounds of fruits and vegetables. Its patented formula is unparalleled in quality and standard and proven by USDA researchers to boost immune function by 37% in only 20 days. It doesn't get much better than that. 2. Nature's Sunshine Products' Perfect Eyes. A combination of antioxidants, vitamins, minerals and herbs, Perfect Eyes is the second best formula for eye health. Containing the nutritional power of Beta-Carotene, Bilberry Fruit, Lutein, Zinc, Selenium, NAC, and more, this combination is sure to support, sharpen and strengthen your eyes. 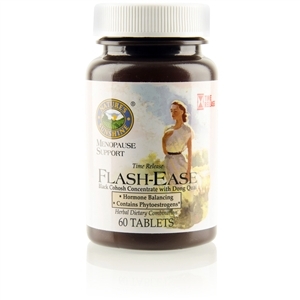 Flash Ease - The All-Natural, Plant-Based Hot Flash Relief You've Been Waiting For. Research into menopause indicates long ­term health risks including heart disease and osteoporosis. However, according to an article in American Family Physician, the most common symptom, experienced by up to 75% of menopausal women, is hot flashes—the number one reason women seek hormone replacement therapy (HRT). Although many studies have shown HRT to be effective in relieving hot flashes, and in reducing bone loss and the risk of heart disease, the New England Journal of Medicine reports women receiving HRT have a 46% higher risk of developing breast cancer over women NOT receiving HRT, concluding that "the trade­-offs between risks and benefits should be carefully assessed." Similar findings were achieved by a study published in Lancet. Fortunately, a number of natural plant alternatives to HRT have been shown to effectively reduce menopausal symptoms by providing compounds known as phytoestrogens. These substances function similarly to the hormone estriol, the weakest type of estrogen and the only one linked to a reduced risk of breast and endometrial cancer. Phytoestrogens, by mimicking estriol activity, have been shown to inhibit breast cancer. A recent study in Lancet found women with a high intake of phytoestrogens exhibited a substantially reduced risk of breast cancer. BLACK COHOSH is perhaps the most thoroughly studied of phytoestrogen-rich plants. In Germany, black cohosh has been used for decades as a German Commission-approved treatment for menopausal symptoms. In fact, a commercial extract of black cohosh is the most widely used natural alternative to HRT, with an estimated 1.5 million women worldwide having used this herbal preparation since 1956. In 1997 alone, over 10 million monthly units were sold in Australia, Germany and the U.S. Even the American Medical Association (AMA) featured an article confirming the safety and effectiveness of black cohosh as a natural remedy for menopausal symptoms. German researchers conducted an open study using a standardized extract of black cohosh with over 700 menopausal women. Over 80% of the women experienced definite improvements in their symptoms within 6 to 8 weeks, with most participants reporting noticeable benefits within 4 weeks. After 6 to 8 weeks, a large percentage of women achieved complete relief of menopausal symptoms which included headache, heart palpitations, hot flashes, nervousness/irritability, profuse perspiration, ringing in the ears and vertigo. In addition to its estrogenic effects, research indicates black cohosh may help menopausal symptoms by reducing the pituitary's secretion of luteinizing hormone (LH). Elevated blood levels of LH, exhibited during menopause, are believed to contribute to the hot flashes, insomnia, and depression many women suffer. What makes Flash Ease unique? Each Flash ­Ease tablet contains 80mg of a concentrated extract of black cohosh root and rhizome. Flash Ease also contains dong quai root and is designed to provide a full 10 hours of time-released support. DONG QUAI is widely recognized for its role in relieving female complaints such as menstrual irregularities and menopause. According to research published in the American Journal of Chinese Medicine, dong quai contains phytoestrogens and is believed to be effective for relieving hot flashes due to its estrogenic activity and its ability to dilate blood vessels and reduce blood pressure. NOTE: Pregnant and lactating women, as well as those currently taking HRT, should consult their healthcare professional before using this product. References: 1 Alschuler ND, L. "Menopause: Easing the Change.” Nutrition Science News; August 1997. 2 Colditz, GA, et al. "The use of estrogens and progestins and the risk of breast cancer in postmenopausal women.” New England Journal of Medicine; 1995, 332 (24), 1589­93. 3 White MD, L. "Let Herbs Keep You Healthy.” Delicious! Magazine, March 1998. 4 Ingram, D, et al. "Case­control study of phyto­oestrogens and breast cancer.” Lancet;1997, 350 (9083), 990­994. 5 "Menopause: Herbs That Can Ease the Transition.” Herbs For Health; 1996, Vol. 1, No. 2, 29­33. 6 "Black Cohosh Gives Relief For Menopause.” Alternative Medicine Digest; 1996, Vol. 13. 7 Murray ND, M. and Pizzorno ND, J. Encyclopedia of Natural Medicine, 2nd Ed.Rocklin, CA: Prima Publishing, 1998. 8 Murray, Michael T. The Healing Power of Herbs. Rocklin.CA: Prima Publishing, 1995. 9 "Natural herb shown in clinical trials to relieve menopausal symptoms.” Reuters; July 10, 1998. 10 Duker, EM, et al. "Effects of extracts from Cimicifuga racemosaon gonadotropin release in menopausal women and ovariectomized rats.” Planta Medica; 1997, 57 (5), 420­424. 11 Friedrich PhD, J. "Understanding Premenstrual Syndrome.” Nutrition Science News; June 1996. How to Boost Your Immune System, Fight Cancer & Improve Your Eyesight All at Once! What one pill boosts your immune and eye health, fights cancer-causing free radicals and gives you more concentrated antioxidant power than 800 IU of vitamin E or 400 mg of vitamin C? Click to find out! As more and more people make the shift away from refined sugars and simple carbs to more natural foods, it becomes almost a necessity to find a natural, healthy solution to satisfy that stubborn sweet tooth When fruit won't cut it and you just have to have some sweet, delicious, sugary-but-not-sugary goodness, honey is your greatest ally. While stevia works in drinks, smoothies, and other dishes, it tends to turn bitter when baked. Since agave syrup is 90% fructose (40% more than white sugar), honey is one of your best bets. However, not all honey is created equally. May contain no pollen, the very thing that makes it honey. In fact anywhere from 76 - 100% of honey in restaurants and stores contains no pollen at all. There is no such thing as ORGANIC honey. There are no USDA standards when it comes to honey, so the organic stamp can be given to any honey whose suppliers feel it is “organic”. Supports the local bee population! Who doesn't want that? To sum up, in moderation, honey can be a wonderful treat. With so many health benefits, you can indulge yourself - guilt-free! Visit us on our website or Facebook! We’re always happy to help! A liquid combination of the 12 most important vitamins and minerals, plus Tre-en-en grain concentrates for health that starts in the cells, this multi-vitamin and mineral is safe for kids of all ages, including infants. Packed with potent immune, circulatory, brain, and cellular support, you can rest easy knowing you’re giving your kids the nutritious power they need to get through the day. A chewable vitamin for kids, these tablets are packed with 18 vitamins and minerals, the Tre-en-en grain concentrates (also found in the adult Formula IV multivitamin), these tasty vitamins support healthy growth and brain development, optimized learning and concentration, healthy energy, and immune support. Even better, they’re free of articifial colors, preservatives, and flavors. High in antioxidants from blueberries, green tea, acai berries, elderberries, grapes, cranberries, bilberries, pomegranates, and more, this delicious juice has 5 to 10 times the resveratrol of red wine (without the alcohol), 7 times the power of tomatoes, 6 times the alpha lipoic acid of spinach, and 20 times the antioxidant properties of pomegranate alone, this drink will keep your kids’ immune systems roaring. All it takes is a few tablespoons to an ounce a day. It’s so delicious they’ll be begging for more! A combination of elderberries, vitamins C and D, Echinacea and Zinc, and with a special Whole Foods Complex full of immune-boosting veggies including broccoli, pomegranate, spinach, cranberries, acai berries, tomatoes, and more, these natural-flavored gummies are sure to keep the germs away. These delicious chews are soy, wheat, and milk free. Probiotics are the key to optimal immune health. A whopping 80% of the body’s immune system is in the gut, so keeping it full to the brim with good bacteria is vital. These chewable tablets boost digestive and intestinal function, too. Each tablet contains 1 billion microorganisms. This is why we recommend you refrigerate the bottle to maintain those friendly bacteria. Debbie V. I have been using supplements for over 15 years and it has been wonderful helping me raise 8 healthy children! 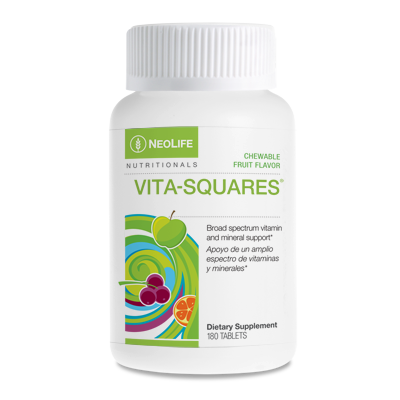 Katie D. Since using Vita-Squares and Probiotic Power, our kids are never sick! Want to find out more? Contact us by phone at (423) 899-8422 or by email at naturesfinestnutrition (at) gmail.com. Visit us on our website or Facebook! We're always happy to help! Originally, pesticides were designed to kill or repel pests, bacteria, mold, fungus, animals, weeds, or any harmful organism. It sounds like a fair idea in principle, but what happens to the plants doused in these chemicals? Furthermore, what happens to the bodies of the people consuming these plants? The government regulates the amount of pesticides allowed in food, but nevertheless, research shows we're ingesting far more than we believe, and the side effects are adding up. With all these side effects stacked against them, how are pesticides still deemed "safe"? The answer is simple: it boils down to the testing. Whereas the obvious solution seems to be to test the entire chemical package and its biological effects, most often only the active ingredient of each pesticide is tested. The additives, adjutants and solvents, for example, have their own toxic side effects and are entirely excluded. The synergistic qualities of these chemicals are hushed-up and forgotten. The products are branded safe and sold to farms all across the country to be sprayed on all but organic crops. Besides the testing, however, there is also the claim that pesticides break down after time. While this is true, the fact of the matter is that these chemicals are actually more dangerous once they begin to decompose. As we can see by the residues left in our foods and the serious consequences of consumption, the breakdown of pesticides promises safety, but delivers quite the opposite. Herbicides share much the same story. Despite Monsanto's insistence that Round-Up is as safe to humans as over the counter pain killers like aspirin (which alone has an impressive list of side effects), glyphosate is believed to worsen already existing diseases. It actively targets and destroys beneficial gut flora, necessary for immune health, organ metabolism, nutrient absorption, carbohydrate utilization, and allergy prevention, to name a few. Continued usage and consumption of glyphosate causes pathogenic overgrowth and toxicity in the intestines, which will then affect the rest of the body, too. Glyphosate has also been shown to remain in foods and in human bodies after consumption, despite Monsanto's insistence of the chemical's biodegradability. An independent study in Iowa of both farming and non-farming families found glyphosate in the urine of 80% of children tested, and in Europe, forty-four percent of people on average from a range of nearly twenty countries tested positive for glyphosate residues. Countries such as Germany, Great Britain, and the Netherlands tested positive from sixty-three to seventy-percent of their population. In Malta, ninety-percent of people tested were found with glyphosate residues in their bodies. It's no wonder several countries in Europe - eighteen countries, to be exact - have banned pesticide usage in their crops. Several countries, such as the Netherlands and France, are also planning to remove glyphosate from their crops beginning in 2016. In fact, Monsanto's poster child, Round-Up, is already being removed from shelves in France, no longer available for purchase. Brazil is moving in a similar direction. How can you rid your system of glyphosate residues? There are several detoxes and cleanses to help the body clear out any heavy metals or toxic residues in the body. Don Lawson's General Body Cleanse. This cleanse is a deep-clean, effective yet safe way to clear metals, toxins and poisons out of your body. Consisting of three NeoLife products taken on a strict regime for a month, this cleanse will flush your system and energize your body, all in a short 30-day span. This cleanse is traditionally done once annually. Heavy Metal Detox. A Nature's Sunshine product, this cleanse is a combination of several traditional herbs, antioxidants, vitamins and minerals to pull heavy metals out without any extra hassle. Liver Cleanse. An organ with over five hundred sixty functions, the liver aids cleansing and detoxification in the body. There are two cleanses for the liver by Nature's Sunshine, and both are excellent. 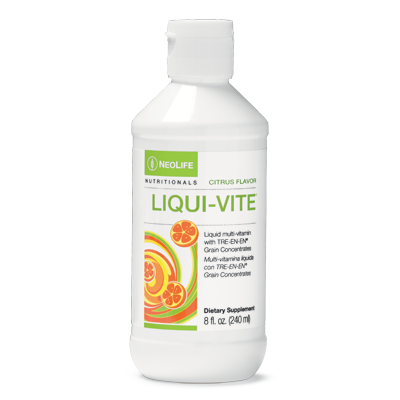 The Liver Cleanse Formula is gentle, nourishing and supportive of the liver. This program is safe and effective, and usually lasts three months, or three bottles. The Tiao He Cleanse is a stronger and typically faster. Designed as a fifteen-day cleanse, most users find they need to take more than one box. How can you avoid or limit your consumption of pesticides and herbicides in future? The simple answer is to eat organic whole foods. That's truly the only way to ensure you're getting clean, green food without exposure to toxic chemicals. However, if you can't afford to eat wholly organic, as the majority of American's can't, most health professionals recommend thoroughly washing foods and sticking to the "dirty dozen and clean fifteen" list - twelve foods that are toxic if not organic, and fifteen foods that are fine to eat commercially-grown. For more information on cleanses, pesticides, or any other health issue, contact us by phone at (423) 899-8422 or by email at naturesfinestnutrition (at) gmail.com. Visit us on our website or Facebook! We're always happy to help! Friend of the Earth. "Human Contamination of Glyphosate." June 2013. "http://www.foeeurope.org/sites/default/files/press_releases/foee_4_human_contamination_glyphosate.pdf" Accessed 25 April, 2015. Dr. Joseph Mercola, M.D. "Monsanto's Round-Up Herbicide May Be Most Important Factor in Development of Autism and Other Chronic Diseases." Published 09 June, 2013. "http://articles.mercola.com/sites/articles/archive/2013/06/09/monsanto-roundup-herbicide.aspx" Accessed 25 April, 2015. Dr. Joseph Mercola, M.D. "The Myth of Safe Pesticides." Published 28 December, 2014. "http://articles.mercola.com/sites/articles/archive/2014/12/28/safe-pesticides-myth.aspx" Accessed 25 April, 2015. Sarah, The Healthy Home Economist. "The Dutch Ban Round-Up, France & Brazil to Follow". No date. "http://www.thehealthyhomeeconomist.com/roundup-banned-netherlands-france-brazil-likely-soon-follow/" Accessed 25 April, 2015. Anonymous. "8 Possible Side Effects of Pesticides". No date. "http://www.nursingdegree.net/blog/926/8-possible-side-effects-of-pesticides/". Accessed 25 April, 2015. Lisa Weber. "The Side Effects of Pesticides in Food". 13 January, 2014. "http://www.livestrong.com/article/230346-the-effects-of-pesticides-in-food/". Accessed 25 April, 2015. There are a lot of myths floating around in the health industry. Most of them are accepted by the public at large, and the plain and simple truth is this: most of them are completely false. Below are a few "lies" circulated in the health and medical industry in our country and the reasons why they are so evidently wrong. 1. CHOLESTEROL IS LINKED TO HEART DISEASE. This is a clear, blatant lie. The human body actually needs cholesterol to be healthy. Despite what the medical industry and the FDA tell us, there is no link between high cholesterol and heart disease. In fact, people with high cholesterol run the same risk of heart disease as people with low cholesterol. On the other hand, low cholesterol levels have been associated with an elevated risk of death from other issues, such as cancer and suicide. 2. SYNTHETIC HORMONES ARE SAFE. The words "synthetic" and "hormone" should never be together. Hormones play many vital roles in the human body, and to give the body something synthetic - and usually, something taken from the urine of a pregnant horse - doesn't make sense. Worse, most of synthetic hormones stimulate the production of a hormone called estrone, which is actually a carcinogen. Since the start of synthetic hormones in the 1950s, serious side effects such as cancer, blood clots, stroke, and elevated risks of heart disease have led doctors to prescribe to shorter time spent on these hormones, but not an end to their use. As a result, bio-identical hormones have grown in popularity. These natural alternatives are safer and can be used in a personalized treatment program to fit the patient. They're often more effective and used in the body exactly as if the body produced them itself. However, the FDA doesn't regulate bio-identical hormone production. This leads to the circulation of phony, questionably-sourced products on the market. To find a good bio-identical product, find a company you trust and read the labels to ensure you're getting a high-quality supplement. We recommend Nature's Sunshine and Neolife. Both have products for the female glandular system that are all-natural, organic, and the highest quality and purity you'll find. We carry both! 3. ULTRASOUNDS ARE COMPLETELY SAFE FOR UNBORN BABIES. This one may come as a bit of a shocker. Most people regard ultrasounds as a regular, normal part of life. Everyone gets them these days. Not having an ultrasound can raise a lot of eyebrows. However, there are many good reasons not to, and the list is lengthening. Did you know ultrasound imaging is being used as a weight loss technique? That's correct. A weight loss technique that works by loosening, breaking, and washing fat away. And this is the exact same system being used to view unborn children, whose nervous systems and brains are made almost entirely of fat. Study after study has been done on ultrasound imaging proving its adverse effects, but sadly, all of them are disregarded as the systems in use today are six to eight times more intense than those in the 1990s when the studies were performed. Most of the above can be determined through common midwife practices or other methods. The only reason they recommend an ultrasound is to ascertain the condition of the unborn child if serious malformation or high risk is suspected. 4. VACCINES DON'T HAVE ANY SIGNIFICANT SIDE EFFECTS. It's no secret vaccines have their enemies. The number of parents who aren't vaccinating their kids is growing, and there are good reasons for this. There has also been a huge rise in infant mortality rates. The United States has the highest in the world, along with the highest number of vaccinations. Furthermore, with the increase in vaccinations in recent years, there has been a marked increase in childhood health issues such as allergies, asthma, gut issues, chronic infections, serious brain damage (including autism), and learning and developmental issues such as ADD and ADHD. The best thing to do is to educate yourself. This article is a good place to start, but the Internet is a vast place. Do the research. Think wisely. Vaccines are rapidly producing resistant and warped strains of diseases rather than eliminating them, and can weaken already compromised immune systems in small children and the elderly. Do we really want to give them to our kids? 5. CHEMOTHERAPY AND RADIATION ARE THE ONLY WAYS TO FIGHT CANCER. This is a lie we see perpetrated every day. Here, at Nature's Finest Nutrition, we help innumerable scores of people fight cancer naturally through proper nutrition and supplementation, with and without the use other treatments, such as chemotherapy or radiation. Cancer can be caused by a variety of issues, but there are several bodily issues that, were they in balance, would make it virtually impossible to produce cancer. Physically, every cancer patient in the world has a weakened pancreas, an acidic pH balance, a stunted immune system, and low cellular oxygen levels. Chemo and radiation worsen all of the above conditions, giving the body an even harder time and a smaller chance of combating the disease itself. This is why cancer survivor rates are so low. Chemotherapy and radiation poison the body and cripple it, only to stave off cancer for a short period of time. It nearly always returns to claim its victim. Therefore, by naturally boosting the immune system, oxygenating the blood, supporting the pancreas (and its production of cancer-fighting enzymes), balancing the pH, and giving the body nutrients it needs to do all of the above, the body can independently fight off diseases like cancer without chemo or radiation. This is usually done in conjunction with a strict diet program of no sugar, processed foods, or meat, and only organic fruits, vegetables, seasonings, etc... The more you can afford to buy organic, the better. The body was designed to digest raw foods, not the processed, genetically-modified alternatives destroying our digestive systems and widening our waistlines. By giving the body the nutrients it needs, it can focus on attacking invaders like cancer and other diseases, as it should. 6. SATURATED FATS ARE TOXIC TO THE BODY. The belief that saturated fats raise your risk of heart disease by raising your cholesterol is widespread. In fact, it was this belief that sparked the low-fat diet craze in the seventies that is still prevalent today. The simple truth is that low-fat diets are detrimental to the body, and high-fat diets are the complete opposite. They're beneficial to the body, and people who eat high amounts of saturated fats weigh less, live longer, and are more satisfied after meals, and therefore less prone to over-eat. The belief that saturated fats increase LDL (bad cholesterol) levels in the body is also incorrect. Instead, saturated fats increase the size of LDL particles, which renders them harmless. Low-fat diets do the opposite, dimininshing the size of LDL particles in the blood stream and therefore making them dangerous to the body. 7. DEPRESSION AND OTHER MENTAL DISORDERS ARE CAUSED BY CHEMICAL IMBALANCES WITHIN THE BRAIN. There has never been any evidence to support the idea that depression and other mental disorders are caused by a chemical imbalance within the brain. In fact, the only reason this hypothesis has gained as much traction as it has is due to the fact that in the 1950's, neurotransmitters such as seratonin and dopamine were found to have beneficial effects on people with depression and other mental disorders. Therefore, the medical and scientific industry assumed that this must mean the brain had a deficiency in either of those neurotransmitters, and began prescribing them as the answer for these so-called "chemical imbalances." WebMD says this, "...Although it is widely believed that a serotonin deficiency plays a role in depression, there is no way to measure its levels in the living brain. Therefore, there have not been any studies proving that brain levels of this or any neurotransmitter are in short supply when depression or any mental illness develops." 8. IF YOU EAT WELL, YOU DON'T NEED DIETARY SUPPLEMENTS. This one is completely false, and most of it goes along with the processes foods are put through before they ever arrive on our tables or in our stomachs. Quite simply, the chemicals used in fertilizers, insect repellents, and preservation destroy any nutritional value in modern foods. Antibiotics, growth hormones, and GMOs are at fault, as well. Our bodies have to work harder to digest artificial foods, and often, most foods are only partially digested. This results in weakened digestive systems which cannot absorb nutrients properly, provided there are nutrients to be absorbed to begin with! Cooking (particularly in microwaves) can destroy a large portion of vitamins and minerals even in organic foods, which can be days, if not weeks old by the time they arrive in stores, let alone your pantry. In addition, frequent alcohol and coffee consumption, smoking, and oral contraceptives inhibit the body's ability to absorb vitamins and minerals in food, and can damage the digestive system. As a result, a large portion of the population suffers from vitamin and mineral deficiencies and doesn't know it. They believe they can get the nutrients from their food, but as shown above, this feat is growing harder and harder to accomplish. This makes supplementation essential. Without it, our bodies will continue on a downward decline, unable to heal itself, and growing only more and more susceptible to illness and disease. If you have any questions about any of the above, feel free to contact us! It is a pleasure to help you in whatever way we can. Dr. Richard Brandon. "Natural Hormone Replacement vs. Conventional Hormone Therapy." Published 05 May, 2013. <http://blog.hormonehealthandweightloss.com/learning_center/bid/272300/Natural-Hormone-Replacement-vs-Conventional-Hormone-Therapy >Accessed 04 December, 2014. Dr. Joseph Mercola. "Vaccines: Are They Still Contributing toe the Greater Good?" Published 15 November, 2014. < http://articles.mercola.com/sites/articles/archive/2014/11/15/vaccine-safety-greater-good.aspx > Accessed 4 December, 2014. Robert Matthews. "Ultrasound Scans Linked to Brain Damage in Babies." Published, 19 December, 2001. < http://articles.mercola.com/sites/articles/archive/2001/12/19/ultrasound.aspx >Accessed 13 December, 2013. Anonymous. "Diagnosed with Cancer?" No date. < http://www.cancerfightingstrategies.com/index.html#sthash.BN9Wku9Y.dpbs >Accessed 09 December, 2014. Iridology is the study of patterns and structures in the iris of the eye. Working via nerve impulses, it reveals areas and stages of inflammation throughout the body. Constitution, inherent weaknesses, health levels, transition, and changes in a person's body can all be seen in the iris. As a body changes, so do the patterns in the eye. 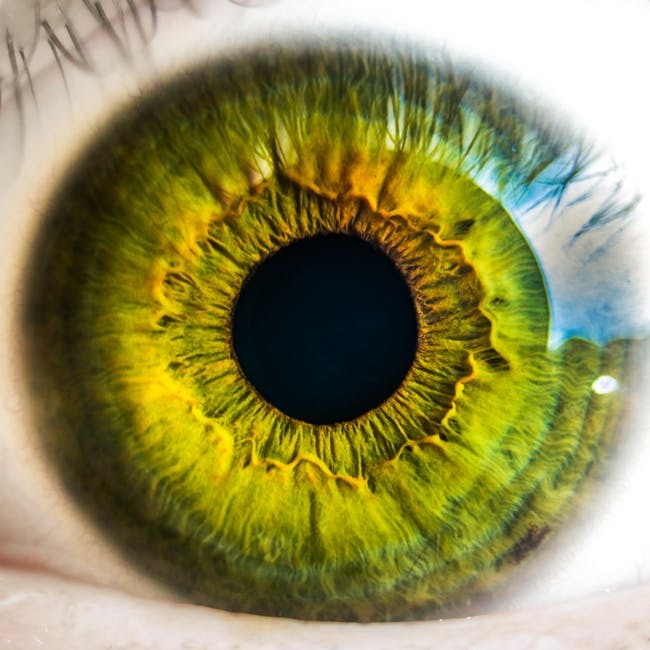 Iridology can find weaknesses in the body before symptoms begin to surface. The method can also help keep track of weaknesses as they heal or warn against any other problems that may arise. It is a simple and economical way to stay afloat of the state of the body. At Nature’s Finest, we have a trained Iridologist. Jim Hangstefer has been using Iridology for over twenty-five years and has helped thousands of people heal their bodies with nutrition. At the end of your session, you will have a complete assessment of all your body systems and know steps to follow to strengthen, correct, and rebuild those areas that may need help. An Iridology appointment costs only $65 and lasts for an hour.